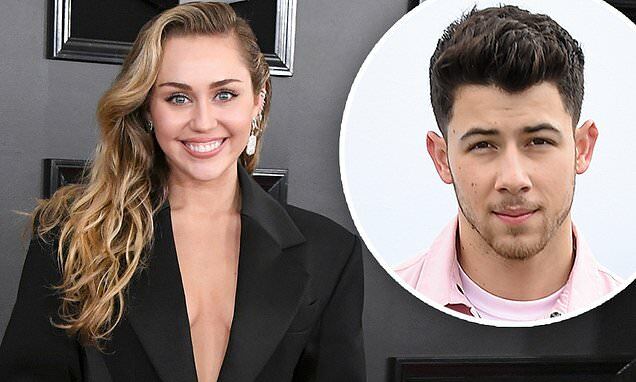 Miley Cyrus and Nick Jonas made it clear they're friendly exes in a social media shot shared Tuesday. After the Nothing Breaks Like A Heart singer, 26, shared a vintage photo of herself with her ex, she posted a screenshot of the Sucker crooner complimenting her 'amazing' Instagrams in a DM. As a reaction, the post also included a sassy clip of the pop starlet flipping her hair over her shoulders with a self-satisfied grin on her face. Miley first sent Nick a vintage photo where she donned an old school Jonas Brothers tee shirt along with a 'lols', before she captured his response for the rest of Instagram. 'Amazing. These throwback shots have been [fire],' the Jealous singer replied to the photo of Miley and pint-sized sister Noah. Miley's been spamming her social with throwbacks since International Women's Day on Friday, sharing tributes to stars like Taylor Swift, Demi Lovato, Selena Gomez, and more.